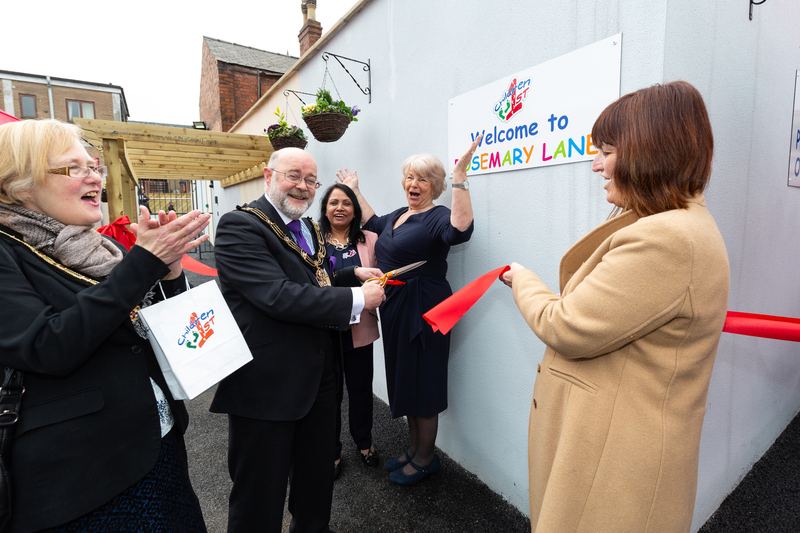 RedTree has been privileged to support our long-standing client, Children 1st Day Nurseries by promoting the relaunch of its Rosemary Lane nursery in Lincoln. This involved securing regular press coverage in the local Lincolnshire media and the national trade publications throughout the refurbishment project, and also supporting the company with the launch of its ribbon cutting ceremony. With invitations designed and distributed to Lincoln businesses, higher education institutions and local government by RedTree, the launch wanted to raise the awareness of these groups about the benefits of working with Children 1st to bring quality childcare to their staff at affordable prices. With the Mayor of Lincoln Cllr. Chris Burke performing the ribbon cutting ceremony under the watchful eye of MP Karen Lee and the RAF band providing the music, guests were welcomed by Margaret Mason, Children 1st founder and CEO. 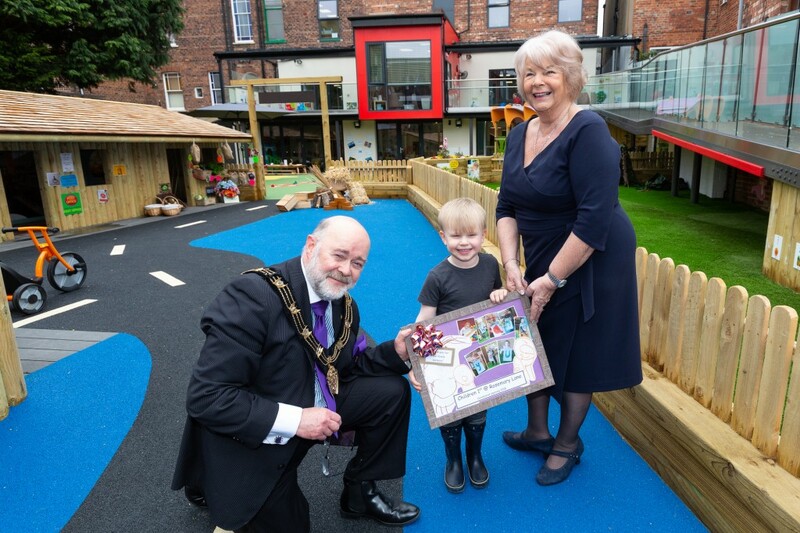 Margaret outlined her company’s journey in bringing this ambitious project to fruition and how it was testament to Children 1st’s ethos of placing children’s best interests at the heart of everything they do. The extensive project has taken almost a year and a half to complete at a cost of £2,000,000. The brain child of Children 1st director, Adrian Mason, in liaison with Core architects of Lincoln, the vision was brought to reality by Children 1st’s own dedicated projects team. 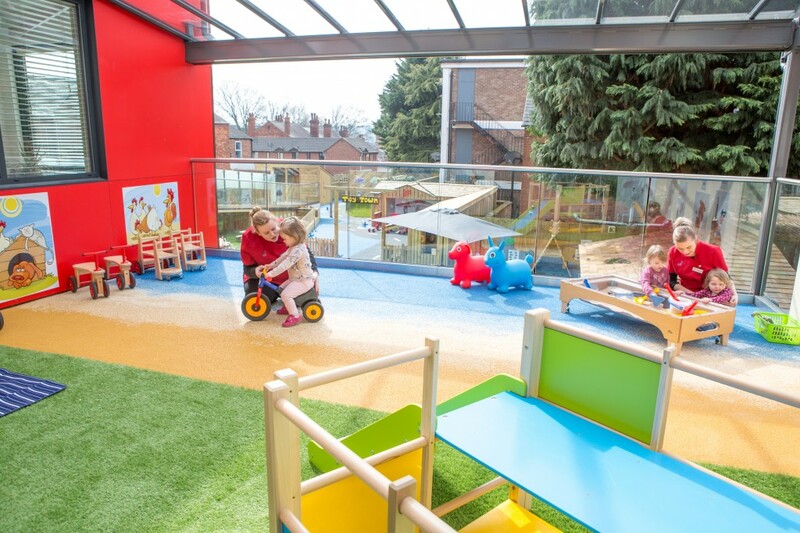 The total transformation includes a remodelled entrance area, improved parking facilities, CCTV and electronic access, accompanied by a stunning internal make-over ensures that families from one of the most deprived areas of Lincoln can benefit from outstanding nursery provision. The slideshow of before and after images created by RedTree illustrated for guests the scope of the project and illustrated why Children 1 st and Rosemary Lane parents are so proud of what has been achieved. Throughout the project, RedTree secured regular press coverage showcasing the refurbishment work in publications including The Lincolnshire Echo, The Lincolnite and Nursery World. As you can see, it has been quite the transformation! If you would like support in promoting your company’s excellent work, we would love to hear from you. Please contact Chris Mitchell on 0115 925 5499.